Today is our 28th wedding anniversary so we decided to go in to North East to have lunch at Woody’s Seafood Restaurant since we enjoyed eating there a few days back. It is rather expensive, but this was a special occasion. This time I had the crab ﻿cake. Best crab cake ever! 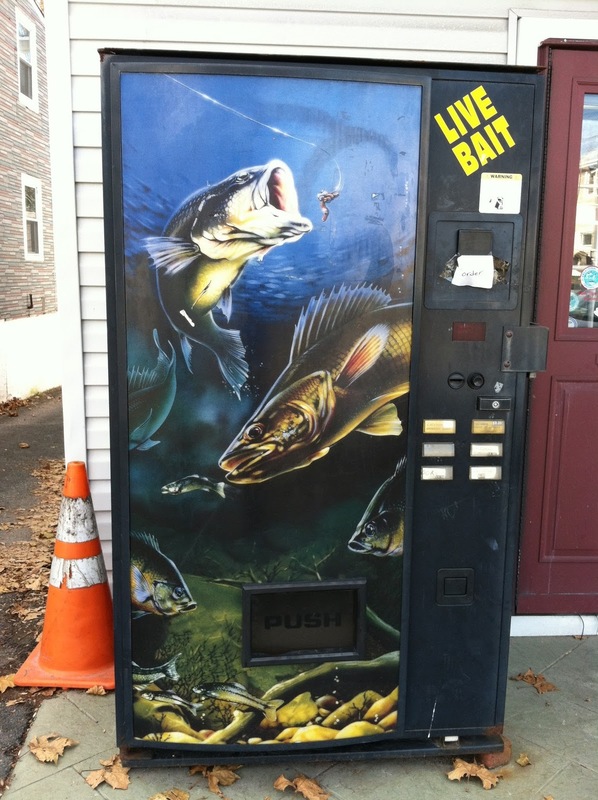 There is a bait shop a few doors down that had this vending machine outside. I don’t know about you, but I have never seen bait distributed in a vending machine like this. You can get night crawlers and carp dough bait and catfish dough bait, and hooks. It’s empty now, of course, because winter is here. Just down the street are a few antique shops so we spent some time exploring those. 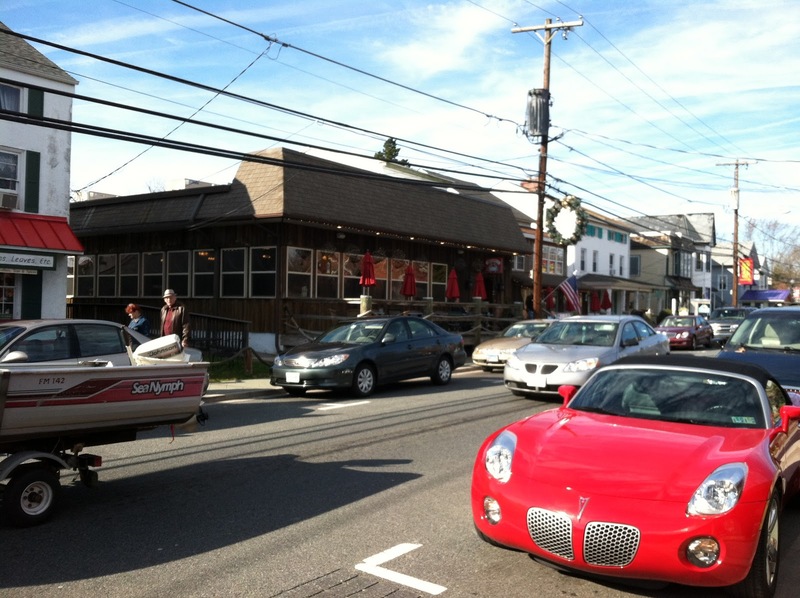 And then, on the next street, at the local fire station, was a small craft show so we walked thru that too. Then to the grocery store and back to the RV for the rest of the day. We haven’t been doing much the last few days, just hanging out at the campground. We’ll be here until Monday morning and then we will have to decide where to go next.